Welcome to the Matador Creators Community forums. To help ensure this is a good experience for all community members, please follow our guidelines. Before posting your topic/question, look to see if it’s been answered already. Use the search function to look for the information you’re seeing, there’s a good chance someone else has already asked it and been answered. No posting opportunities or advertising of services in the general forums. If you have an opportunity you’d like to post to Matador Marketplace, use the Add Your Lead button in the Marketplace. Complete the form in detail. Do NOT market promotions or any products/services. Be respectful. Comments that personally attack other members or are hateful in any way will not be tolerated. Your comment will be deleted and you may be removed from the community. Stay on topic. If you’re not posting travel- or travel media-related topics and comments, you’re in the wrong place. No spamming. Zero tolerance. You will be removed from the Community immediately. Matador reserves the right to remove any post and/or member for any reason. Thanks for helping keep this a fun place to engage with other travel media producers and travelers. Bragging Rights – Use this room to post about your accomplishments. Got a new job? Get published? Accepted into a program? Anything. Please share! 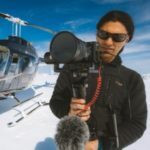 Filmmaking – Post any film-related topics here: Your latest video, filmmaking tips, technical questions, etc. Freelancing – It’s a challenging world. Share your experiences and insights, help and support each other. Marketplace – Have questions about anything posted in the Marketplace? Or about the Marketplace itself? How about any successes you’ve had in it? Photography – What tips & tricks do you have to share? Learn a cool technique in Lightroom? Have any photos to share? Questions for more experiences photographers? Social Networking – How do you use social media for your work? Want to share your page? Travel Tips – The place to come when you’re looking for travel advice. Come across an awesome flight deal? Post it here. Writing – Anything and everything writing (and reading) related. How about a great writing prompt or exercise? Student Lounge (MatadorU students only) – Connect and network with your fellow students. Inspire and motivate each other. Stuck on an assignment? You won’t be the only one.